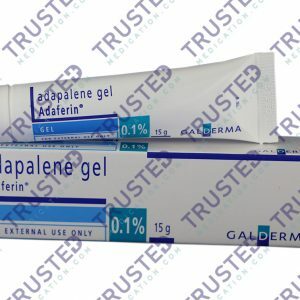 Why buy Tazret Gel .05% (Tazarotene) for acne? Tazret Gel .05% is cheaper than its branded counterpart. It’s more effective in treating acne than other prescription-only topical retinoids like Adapalene gel. It’s even more effective in decreasing post-inflammatory hyperpigmentation and acne lesion. How does TTazret Gel .05% (Tazarotene) work? Tazret Gel reduces facial discoloration and wrinkles by causing an increase in the thickness of the outer layer of the skin. How to use Tazret Gel .05% (Tazarotene)? Apply Tazret Gel .05% on your skin once a day usually before bedtime. Please note that this medication is for facial use only. Before applying the gel, make sure that your face is clean and dry. Wash your face with a mild cleanser then pat it dry. Wait for 20 minutes to make sure that your face is dry. Apply a pea-sized amount on the affected areas. Use Tazret gel regularly to get the most benefit from it. If you are using Tazret gel to treat acne, your symptoms should improve in about 4weeks. 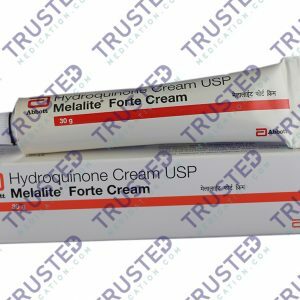 If you are using this product in treating psoriasis, your symptoms should improve in about 2 -4 weeks. Consult your doctor if symptoms persist. What are the side effects of Tazret Gel .05% (Tazarotene)? Serious allergic reactions are rare. However, if it happens, seek medical advice right away. Remember that your doctor prescribed this medication because your doctor knows the benefit that you can get from it. You are allergic to tazarotene and other topical retinoids. You are allergic to vitamin A related drug. You are allergic to any other medications because this product may contain inactive ingredients which can cause allergic reactions. You have other skin conditions like sunburn, sun sensitivity and eczema. You need to wait until your condition gets better. You are pregnant or planning to get pregnant. It may harm your unborn baby because this drug is absorbed through the skin. Prolonged sun’s exposure. This product can make your skin even more sensitive to the sun. Use sunscreen with higher SPF’s. Wear protective clothing and sunglasses. Avoid sunlamps, tanning booths and waxing. Avoid getting the Tazret gel in your eyes. If this happens, wash it with plenty of water. Detox serum fights against acne and oily skin. It helps to improve the skin’s microcirculation with an anti-inflammatory effect.